Farooq Habib is an Assistant Professor in Logistics and Supply Chain Management, Cranfield University in the United Kingdom. He is a Mechanical Engineer and holds an MSc in Logistics and Supply Chain Management (Lancaster University, UK), an MSc in Research (Cranfield University, UK) and a PhD in Operations and Supply Chain Management (Cranfield University, UK). Farooq holds or has held visiting faculty positions at business schools in Birkbeck College, University of London, UK, University of Buckingham, UK, and University of Bedfordshire, UK. He has over 15 years of industrial experience working with Marks and Spencer and Levi Strauss (Textiles Sector) and Unilever and Nestle (Food and Drink Sector including Cold Supply Chains). 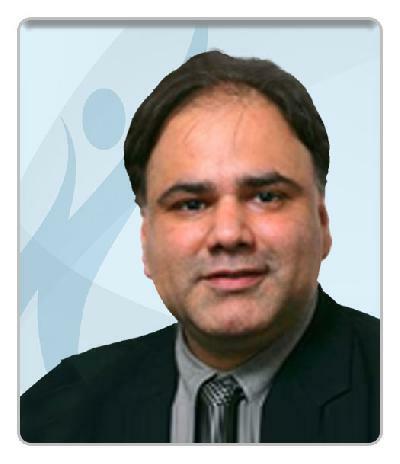 Farooq has written various academic papers, book chapters and project reports. He regularly engages in high-quality research, evidenced by publications in leading academic and practitioner journals and conferences in the arena of logistics and supply chain management. Farooq is a member of review boards of leading supply chain management journals. His executive development and consultancy work has included work for DHL, O2, Hewlett Packard, Travis Perkins, Masternaut, Dong Energy A/S, Sigma-Aldrich Co Ltd, Tetra Pak, Schaeffler Technologies AG & Co KG, Rittal-CSM Ltd, Affinity Sutton, BAE Systems, Shell International Ltd, InHealth Group, European Food Safety Authority, and many others.